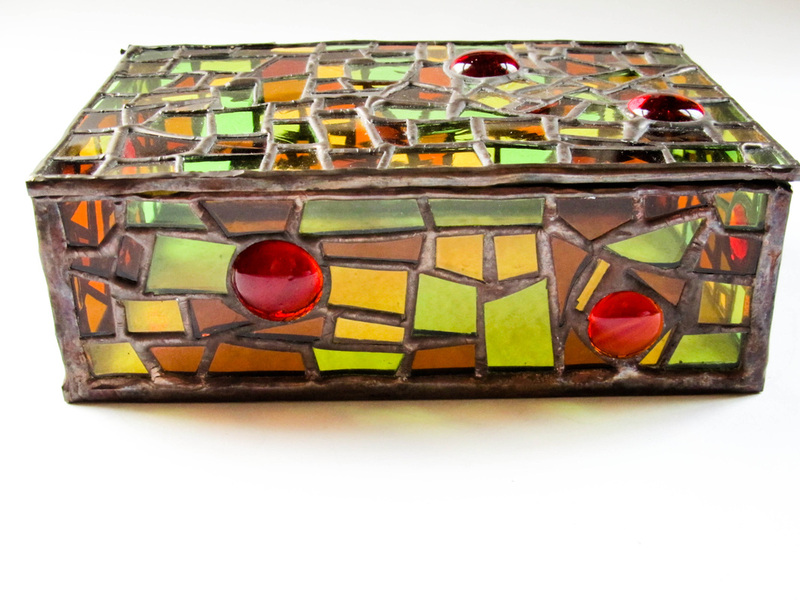 Glass is one of my favorite materials and I love working with it. 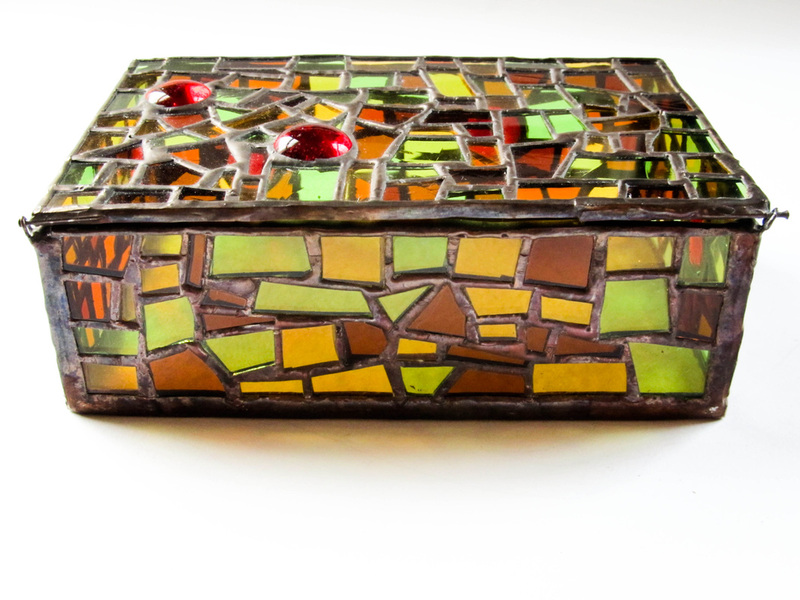 When nature wraps us in warm and fiery colours we know it is AUTUMN, it is time to catch the last warm sunshine rays on Sunday walks and having warm snugly evenings in front of the fire with a warm cup of tea. SPRING is the time for new life, new beginnings, when we see vibrant colours of little flowers pop out of the ground and grass flourishes in the warm sunlight, time when we go outside and enjoy the sun. 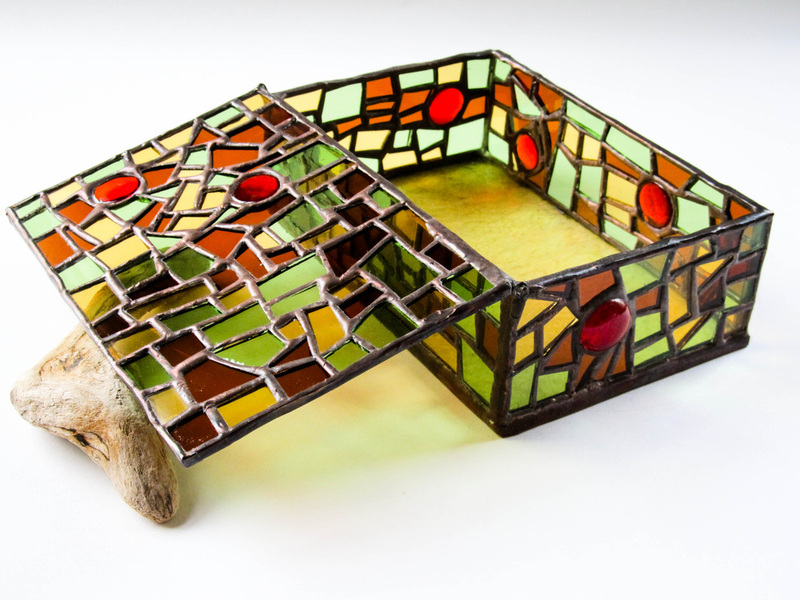 So, this small jewellery box was inspired by warm and earthy colours of autumn and bright sunshine and vibrant green grass of spring. It brings light and colour to any room in your house. I love summer time at the sea side and this box was inspired by my sea side holidays in Croatia, where the sea is light blue colour and so clear that you can see the all the sea life, rocks, pebbles and shells on the bottom of the sea and how the sun that sparkles on the waves. 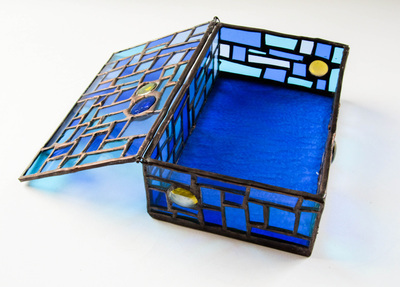 On the other hand the character of the blue box also resembles the blue sky, clouds and the sun or even warm yellow sunshine rays and snowy hills and frozen lakes in the winter time. 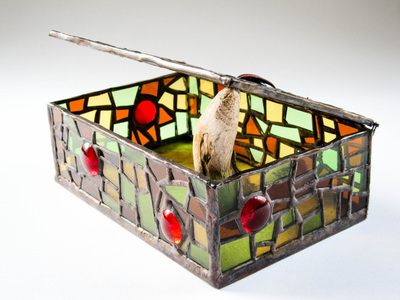 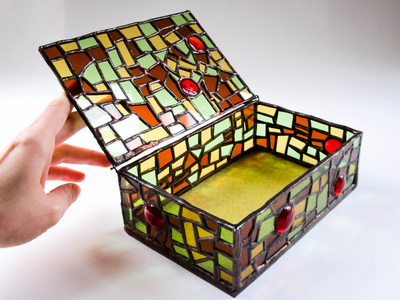 The boxes are made in stained glass technique using three shades of transparent Scribed Antique. 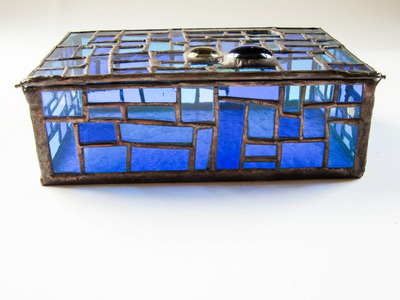 The glass has linear striations and its smooth surface is highly reflective. 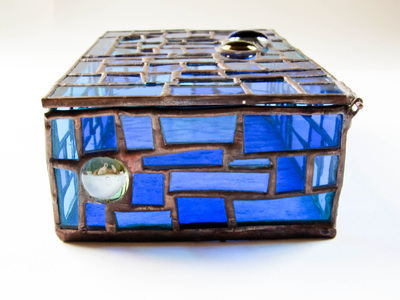 The bottom of the box is made of one piece of thick English Muffle glass which is partly transparent, highly reflective and has a non-directional ripple effect. 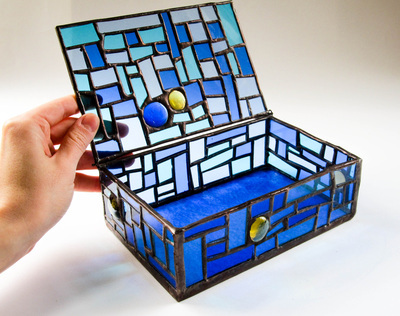 The glass pieces are all hand cut into irregular shapes and arranged in puzzle like panels. 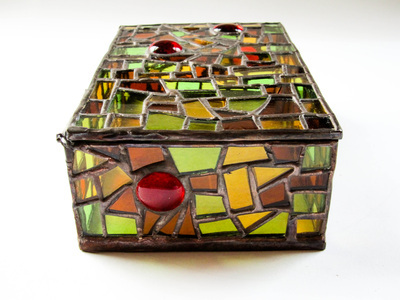 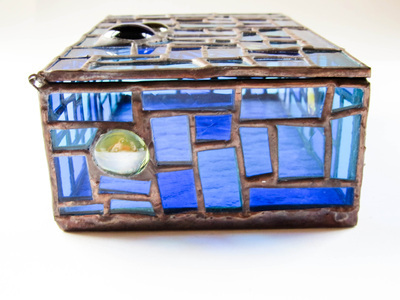 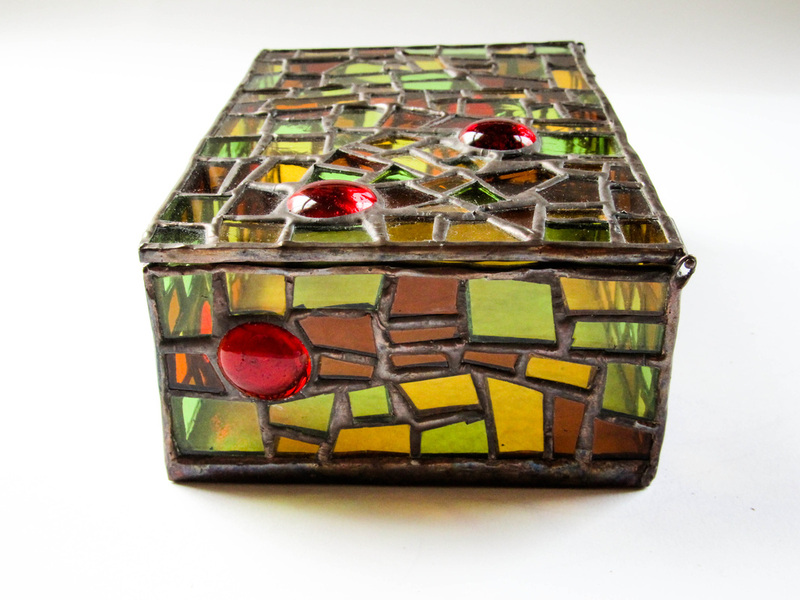 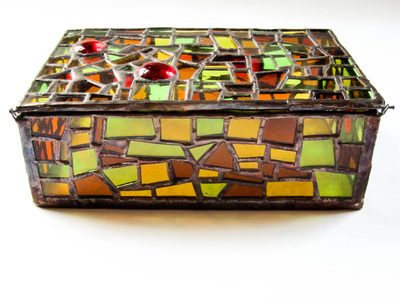 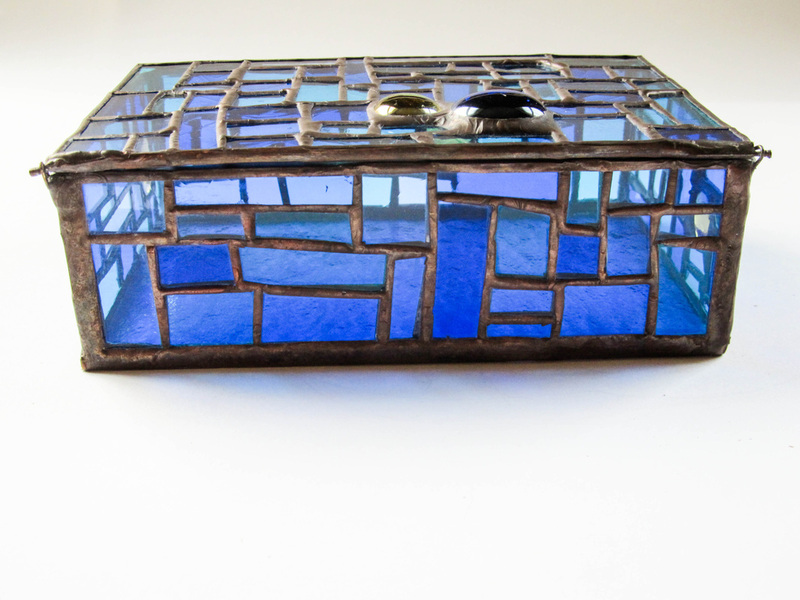 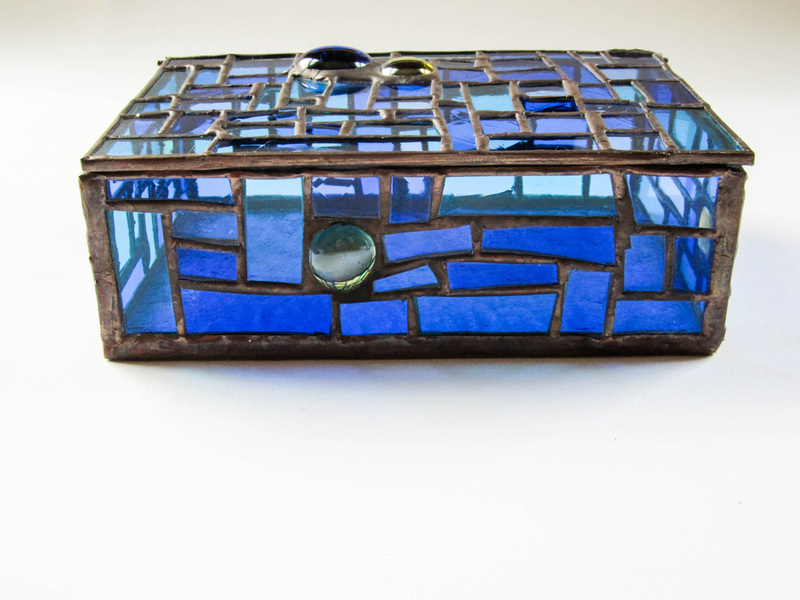 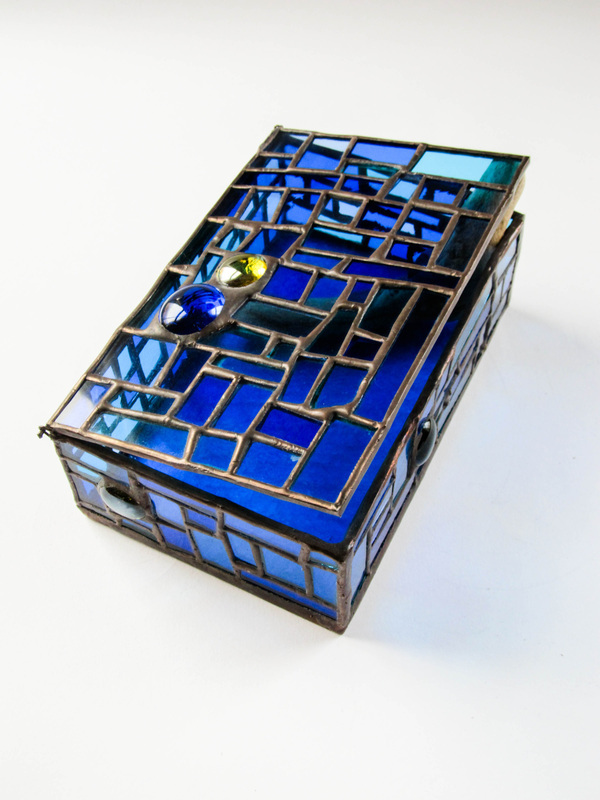 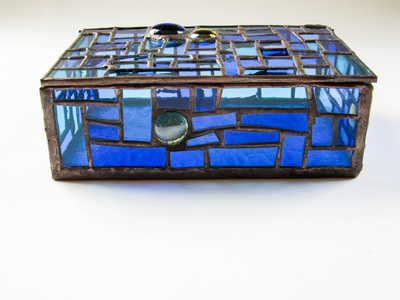 The boxes have medium and large sized glass gems inserted asymmetrically in between the smaller glass pieces. The lid is attached to the box with a simple and delicate hinge system unique to my products of this kind.